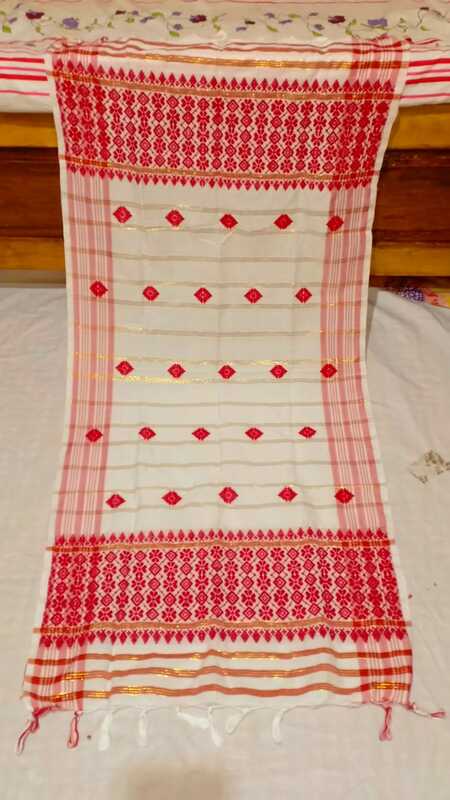 Home » Products » Gamosa » Assamese Traditional Gamosa with Red Xuta work. 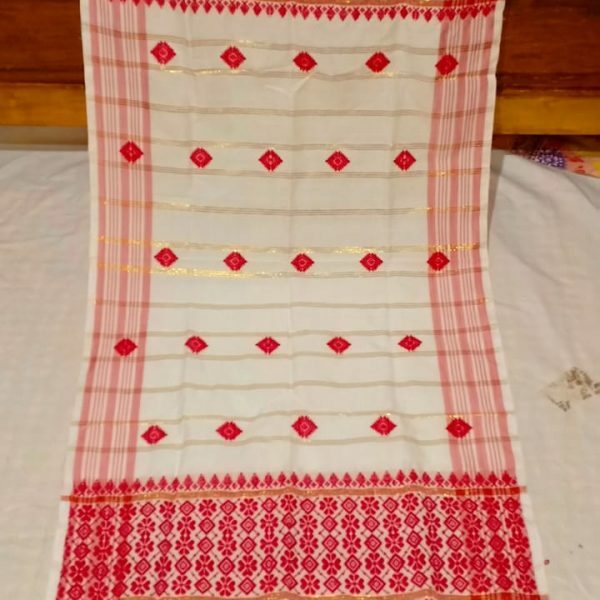 Assamese Traditional Gamosa with Red Xuta work. Assamese traditional Gamosa is designed beautifully with Red Xuta work in Diamond shape. 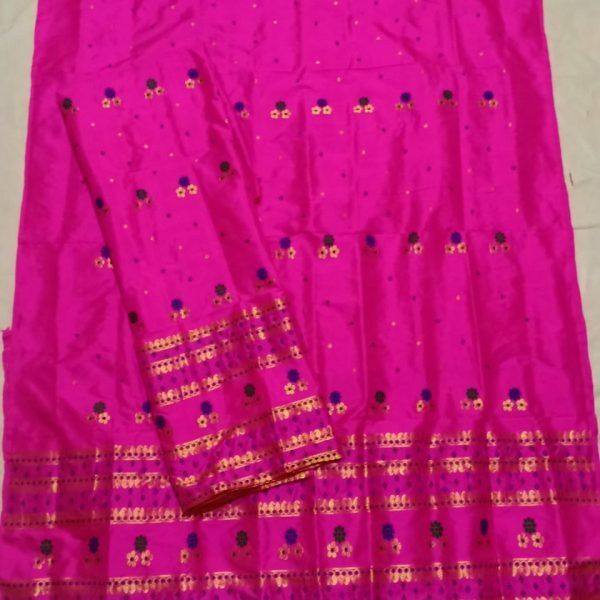 Totally hand woven Gamosa you can get only in Assam. Assamese traditional Gamosa is designed beautifully with Red Xuta work in Diamond shape. 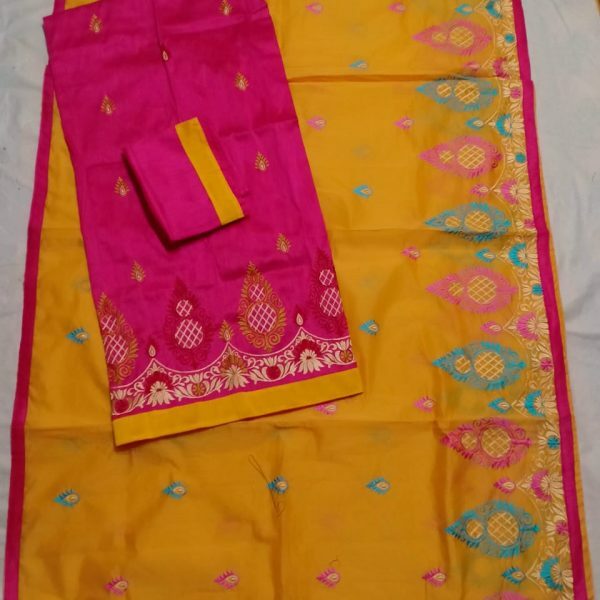 Totally hand woven Gamosa you can get only in Assam. Our Weavers work hard to design on Gamosa by using traditional symbols. We all Assamese people feel pride by wearing a Gamosa traditionally. To welcome one we people use Gamosa as a welcome gift. In many rituals it is used heavily in Assam. On National festival Bihu ‘Gamosa’ is used to gift each other as a sign of unity. Material care: Both hand and machine wash.